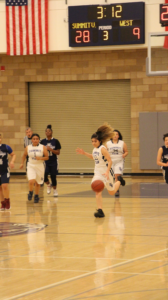 Summit View Valley’s Girls Basketball Team is a proud member of the California Interscholastic Federation Southern Section Division and the Los Angeles County Omega League. A tentative schedule for the 2018-2019 season is posted below. Check back frequently for updates or email Coach Raul Pastor at rpastor@summitview.org. The team invites you to come support them! Go Eagles!